IPNW is commemorating Wrongful Conviction Day and celebrating our 20th Anniversary with an all ages concert by the Exoneree Band at Century Ballroom on Capitol Hill. 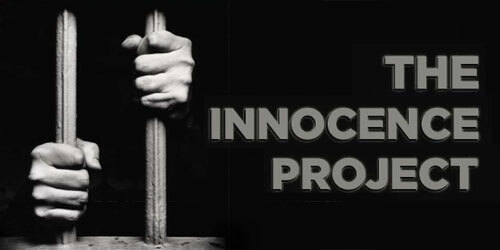 All ticket sales benefit Innocence Project Northwest. No-host bar for guests who are 21+. Special guests will include Amanda Knox, IPNW freed clients and exonerees as well as representatives and death row exonerees from the death penalty abolition organization Witness to Innocence. Playing for the first time in Seattle, the Exoneree Band is a touring group of prisoners-turned-musicians, each of whom was wrongfully convicted of another persons crime. They’ll play a combination of covers and original songs inspired by their remarkable stories. From rock, to country, to blues – there will be something for everyone. This is a rare show that you won’t want to miss! Wrongful Conviction Day is observed internationally to raise awareness of the causes and remedies of wrongful conviction and to recognize the tremendous personal, social, and emotional costs of wrongful conviction for innocent people and their families. Nationally, 2075 people have been exonerated after serving over 18,000 years for crimes they did not commit. In Washington, 46 people have been exonerated after serving over 225 years in prison. IPNW will host a death penalty panel discussion with Witness to Innocence. Panelists include death row exonerees Sabrina Butler-Smith and Randal Padgett; Professor of Sociology and Law, Societies & Justice, Dr. Katherine Beckett; and our IPNW Policy Director, Lara Zarowsky. The event is free and open to the public. Are you interested in a career with JAG? How do I apply for a position with JAG? Want to learn more about JAG and what it does? Please join us for a panel discussion to have these questions answered and more. You’ve probably heard that “Conflicts of Interest” are bad and that nonprofit boards need to avoid conflicts of interest. But, what exactly is a “conflict of interest”, and what should you do if your nonprofit has a “conflict of interest”? 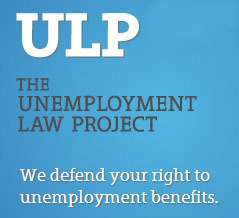 · or any of the dozens of community legal aid programs in the Seattle area? Join the World Affairs Council for a discussion of the challenge of advancing human rights in U.S. policy and what to expect from the Trump administration as a global human rights cries continue to unfold. 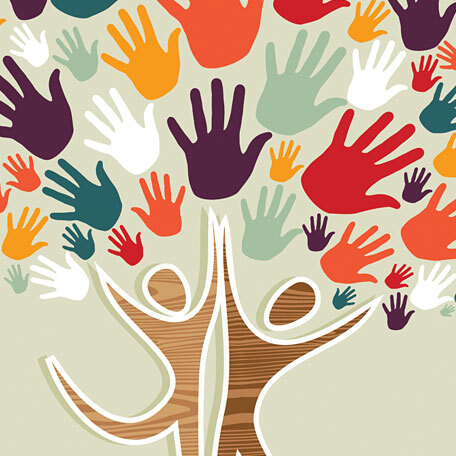 What is pro bono? What is an externship? How do I participate? Where can I get training? How do I learn of opportunities? Learn the answers to these compelling questions and so much more. Please join us for the first SJT of the year! If you would like lunch please RSVP via SCS Oline/Symplicity or by 12:00 pm Monday, October 9, 2017. No RSVP for lunch accepted after 12:00 pm. Please join us for a great exposure to over 20 different Public Service Organizations and Government Organizations. Jackson Lewis P.C. and the National Network of Business Law Pro Bono Programs is offering a complimentary webinar for nonprofit employers. This free webinar is geared towards executive directors, human resources professionals and board members of nonprofit organizations. In the current environment of heightened enforcement, many nonprofit employers are asking: What do we do if immigration comes knocking? How to respond if your organization is inspected. The Husky Leadership Initiative is proud to present its annual kick-off event U Lead We Lead: Leadership for Equity. On October 26, students and other members of the University community will dig into stories from local luminaries who will each share their story and perspective and call you to action. Due October 18: UW Law Moderate Means Program: Looking for the chance to work with clients? The Moderate Means Program is the flag-ship pro bono program for students at the University of Washington School of Law. The UW MMP provides legal referrals for low and moderate income individuals as a part of the statewide WSBA Moderate Means Program. Time: 10 am – 2 pm. Incarcerated Mothers Advocacy Project (IMAP) is hosting an orientation/training for new students and community members who are interested in getting involved! This Sunday, October 1st UW Law School Room 115 10am – 2pm Lunch Provided IMAP’s mission is to provide resources and support that heal the relationships harmed by incarceration. We envision a world where families can be together & thrive, free from the prison industrial complex. Come make new friends and learn about: IMAP’s monthly classes at local prisons, reproductive justice, prison abolition, an introduction to family law, and how to get involved! Application Due: Friday, September 29, 2017 at 5 pm. The Filipino Lawyers of Washington Foundation (“FLOWF”), in partnership with the Filipino Lawyers of Washington (“FLOW”) awards up to 3 scholarships annually ranging from $500 to $3000 to law students in the Pacific Northwest. The scholarships are intended to recognize law students who have a demonstrated significant commitment to community service, particularly service to the Filipino/Filipino American community. You need not be of Filipino ethnicity to apply. To learn more about FLOW, and apply here. Due November 1: The Washington Journal of Environmental Law & Policy (WJELP): Call for Papers! 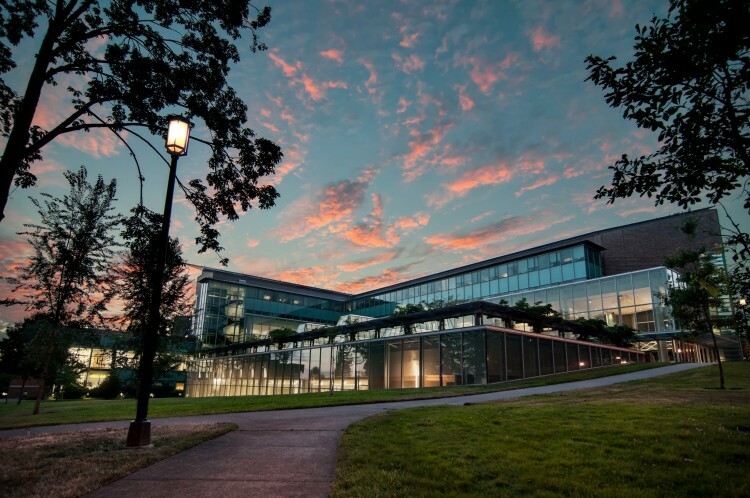 The Washington Journal of Environmental Law & Policy (WJELP) invites submissions for papers and speakers for a symposium this winter, focused on environmental justice and the law. Submitted papers should center around how the law currently acts as a barrier to environmental justice and what the law can do to codify protections. Accepted papers will be featured at the symposium and later printed in a monograph book. Paper and speaker submissions are due by November of 2017. 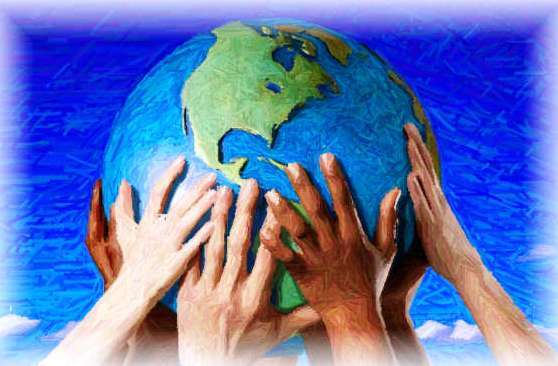 WJELP is also seeking papers with general environmental focuses for our regular editions. 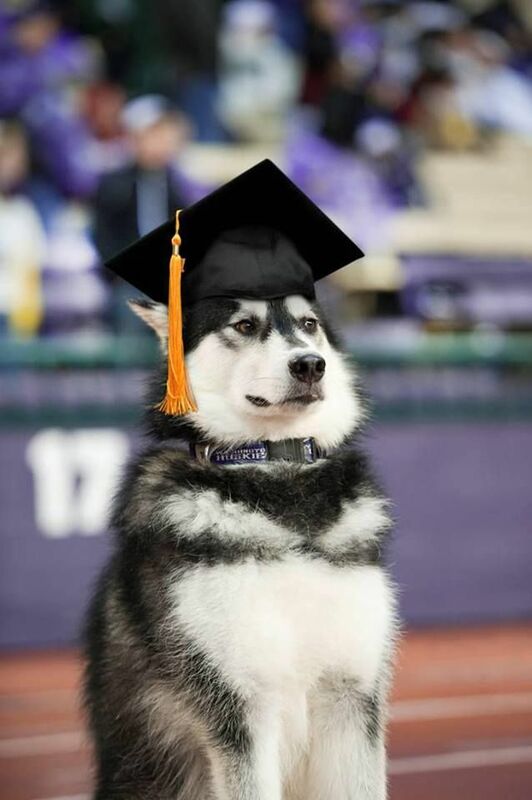 Please submit articles via email to wjelp@uw.edu or via ExpressO. 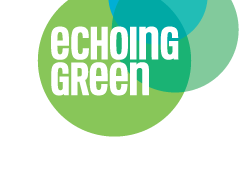 2018 Echoing Green Fellowship Application is now open! • What Echoing Green Looks for in Social Entrepreneurs: Review the criteria for applicants, which evaluators will use to base their scores here. 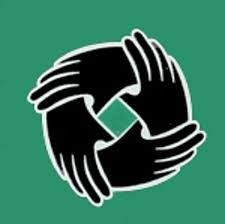 • Social Enterprise Criteria for Echoing Green’s Fellowships: Review the criteria for organizations and ideas, which evaluators will use to base their scores here. • Who is Eligible for an Echoing Green Fellowship? : Make sure you and your organization qualify for a Fellowship here. NAWJ, through the Access to Justice Scholarship Program, and WSAJ are each providing a $500.00 scholarship. Two deserving law students who have demonstrated a sustained commitment to diversity and equality in the system of justice will be selected. Scholarship recipients must be an enrolled send or third year law student in good standing. Criteria for selection will include the applicant’s experience in addressing gender equity issues (e.g. equal access to justice and domestic violence advocacy), and their plan for use of the funds. Applicants will be notified by October 25, 2017. “A half dozen DACA recipients are suing President Donald Trump over his decision to end the program giving quasi-legal status and work permits to undocumented immigrants who were brought to the U.S. as children. The Washington State Association for Justice (“WSAJ”) has established a Fellowship Program to introduce a diverse group of law students to the plaintiffs’ bar generally and to WSAJ specifically. The Fellowship Program (the “Program”) will allow selected students to observe the work of trial attorneys as part of a summer-long mentoring program. Fellows will gain exposure to the work of trial attorneys by “shadowing” three mentor law firms, each for a four week period. They will attend depositions, hearings, settlement proceedings, and possibly even trial with their mentors. They will also have the opportunity to work on short-duration projects, including a writing assignment. The program will run for 12 weeks – May 14 – August 3 for Seattle University and Gonzaga University students; June 11 – August 31 for University of Washington students. Fellows will be asked to commit to a minimum of 40 hours per week. They will be given a stiped on $7,200 for the 12-week program. They will be assigned to three different Mentor Firms, spending four weeks with each. Lands, Wildlife, and Oceans focuses on cases that protect endangered species, national forests, national parks, other public lands, water resources, and the oceans. Healthy Communities focuses on cases that protect public health, prevent air and water pollution, and curb exposures to toxic chemicals, particularly in disproportionately impacted communities. Recently, our healthy communities work has also begun to promote sustainable food and agriculture and the rights of farm workers. Climate and Energy focuses on cases that encourage clean energy and energy efficiency while challenging the reliance on coal, oil and other dirty fuels. The Earthjustice Summer Clerkship position includes a weekly stipend of $880 a week, with the average clerkship lasting 10 weeks. The total stipend amount will be dependent on the extent of a clerk’s ability to secure outside funding. 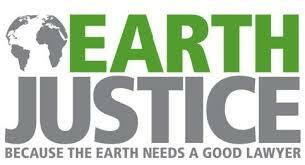 Earthjustice will pay $880 a week less the total amount received from other sources. This position reports directly to the Global Security Technology & Policy Technical Group Manager, with responsibilities as assigned by project/program managers working NNSA and other programs. Other responsibilities will be determined based on candidate skills and available programmatic activities. It is anticipated that the candidate will undertake an array of assignments within NNSA programs. Expertise in legislative and regulatory analysis for nuclear security and safeguards, project management, and working with multidimensional teams (both internal and external), will be essential. The candidate will be directly involved in regulatory cooperation activities with international partners, including national governments and the International Atomic Energy Agency (IAEA). In this capacity, the candidate will utilize his or her own technical expertise, supplemented by management and staff from PNNL, as well as other vendors or contractors. “Procopio has a long-standing tradition of providing growth opportunities to the communities we serve. Procopio’s Native American Law Practice Group extends this tradition by actively investing in the future leaders of Indian Country through offering paid internships for Native American law students or law students with an emphasis in Native American law. Please join us in identifying qualified legal students within Native American communities that may be interested in being part of this engaging opportunity. Juvenile Law Center attorney’s Natane Eaddy and Karen Lindell with special guest Melanie Shapiro, Director of Juvenile Justice Policy for the Maryland Office of the Public Defender will discuss alternatives to strip search for youth in the justice system. This discussion is designed to help juvenile justice professionals gain a better understanding of the harms associated with strip search and alternatives to the practice. Two important pieces of legislation have been introduced in Congress to promote higher education success for youth experiencing homelessness and youth in foster care, “Higher Education Access and Success for Homelessness and Foster Youth Act” and Fostering Success in Higher Education .” These bills seek to address barriers to high education access and success by streamlining access to existing financial aid, enhancing assistance and support for retention and completion, and improving collaboration, outreach, and data collecting. During the webinar information will be provided on the content of both bills, the time line for introduction, and opportunities for support and advocacy. There will also be a chance to hear from Congressional staff about the bills as well as an opportunity for questions. Volunteer law students needed for VABAW gala! 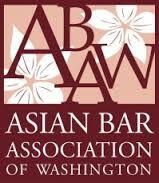 The Vietnamese American Bar Association of Washington (VABAW) needs volunteers! We are looking for student volunteers for our upcoming gala on Thursday, September 28! It’s a great opportunity to get dressed up and meet partners, judges, while learning about VABAW’s mission in a fun way. Our popular event will take place at The Triple Door in downtown Seattle from 5:30-8:00 pm. WE will provide you with food catered by the Wild Ginger. P.S. There is also a fashion show! Are you interested in a career with JAG? How do I apply for a position with JAG? Want to learn more about JAG and what it does? Please join us for a panel discussion with the Army, Navy, Air Force, Marines Corp JAG members. 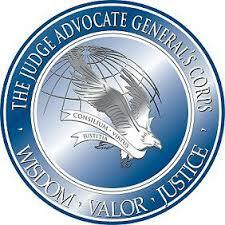 Pro Bono Legal Aid Core Competency Trainings. Get Trained. Do Pro Bono. Make a Difference Now. Than this is for you! Interested in Externships or doing Pro Bono or both? Come to this information session led by Esther Park, Director of Externships, Aline Carton-Listfjeld, Director Gates Public Service. Learn valuable information a week before the Pro Bono and Externship Fair at the University of Washington. Meet over 20 organizations and talk with representatives from each to learn about Pro Bono and Externship opportunities at their organization. “Matthew Stubenberg’s legal career is shaped by the Great Recession. In 2010, he started law school at the University of Maryland, where he “fell in love with criminal defense.” However, upon graduation in 2013, the legal market was still recovering, and he was without a job. That was when Stubenberg learned how to code. Inspired by his law school clerkship, Stubenberg, 29, wanted to help attorneys navigate Maryland’s courthouses. NAWJ, through its Access to Justice Scholarship Program, and WSAJ are each providing a $500 scholarship. Two deserving law students who have demonstrated a sustained commitment to diversity and equality in the system of justice will be selected. Scholarship recipients must be an enrolled second- or third-year law student in good standing. Criteria for selection will include the applicant’s experience in addressing gender equity issues (e.g., equal access to justice and domestic violence advocacy), and their plan for use of the funds. Applicants will be notified by October 25, 2017. Apply for a 2017 scholarship from the Asian Bar Association of Washington (ABAW) and Student Scholarship Foundation (SSF). Each year, ABAW and SSF award four (4) scholarships totaling $24,500 to APA/API law students attending school in Washington. Selection is competitive. Applications are due by October 6, 2017 at 5:00 pm PST. Information and details on how to apply here. Are you ready for it? Externships! Fellowships! Jobs! With less than two weeks left to apply, we are truly in the final stretch! Equal Justice Works Fellowships provide innovative solutions to issues facing vulnerable individuals and communities, and we’re accepting applications for the 2018 Fellowship class until 11:59 PM EST on September 27, 2017. The goal of the VISTA Affordable Housing Preservation Project (VAHPP) is to preserve, maintain, and improve project-based Section 8 affordable housing. Now recruiting members for several sites. Apply here. From taking on the NYPD’s racially discriminatory stop-and-frisk program to challenging indefinite detention and torture at Guantánamo, the Center for Constitutional Rights has been on the front lines of the fight for social justice for 50 years. We’re a multiracial, diverse staff committed to building the power of the people and communities we represent. Whether it’s immigration detention, solitary confinement, the Movement for Black Lives, Muslim profiling, or Palestinian human rights, we fight for civil and human rights though creative use of litigation and advocacy. For application and further information, apply here. Would you like a free opportunity to learn hands-on legal skills, earn CLE credits, network, have a space to start your own legal practice, and to have firms (both private and non-profit) want to hire you on the spot? The year-long program is an opportunity for newly licensed attorneys pursuing a career in family law to gain direct experience in a supportive environment. Fellows volunteer half-time while receiving computer access, desks, phones, mentorship and training in Family Law, Domestic Violence, motions practice and pre-trial/trial preparation. ELAP will also provide law office management training to assist the attorneys in establishing their own offices. And Fellows are covered by ELAP’s malpractice insurance for all work done on ELAP cases. Contact ELAP’s Managing Attorney, Juanita Cope, at juanita@elap.org or 425.747.7274 ext 204. The fellowship was established in September 1999 to offer law students the opportunity to assist public service organizations located in Pittsburgh, Pennsylvania. In 2018, the program will award one successful candidate a fellowship that enables them to spend eight weeks of their summer working at Neighborhood Legal Services Association. For additional details about Neighborhood Legal Services Association, please click on the below link. Neighborhood Legal Services Association strives to ensure access to justice by providing free “civil” legal services to low income individuals and families. For more information, please visit https://nlsa.us/. In 2018, the fellowship recipient will be paid a stipend of $1,000/week (less applicable taxes) for his or her public interest service. All stipend checks will be made payable to the student and mailed to Neighborhood Legal Services Association. To be considered for a fellowship award, candidates must complete and submit an application on or before October 31, 2017. For a copy of the application materials, please visit here. Justice in Aging is pleased to announce its first Racial Justice Fellowship for Summer 2018. The fellow may work in any of our three offices in Oakland, Los Angeles, or Washington D.C. This is a paid fellowship. The Position: Justice in Aging seeks a rising 3L (current 2L) with a passion for public interest law and a commitment to communities of color for a 10-week summer fellowship focused on the intersection of poverty, aging, and racial justice. The fellow will work with staff to identify a project that integrates Justice in Aging’s core programs, health care and economic security, with the fellow’s personal and professional interests. For information and to apply. Application Deadline: Monday, October 16, 2017. The ACLU of San Diego & Imperial Counties seeks applicants for a legal fellowship for the Border Litigation Project (BLP), to begin in Fall 2018. For information and apply here. The Gault Fellowship is in honor of the U.S. Supreme Court case In re Gault. The Gault decision extended to juveniles many of the same due process protections afforded adults accused of crimes, including the right to counsel. The impact of incarceration upon parent-clients and their children presents a devastating set of circumstances, from which families may never fully recover. Unnecessarily separating families is devastating to children, their incarcerated parents and our communities. In contrast, family reunification is linked to reduced recidivism, greater family stability, and improved emotional response for children. No parent should face the punishment of losing a child simply because he/she is serving a sentence. At IPP, we attempt to address the unique needs of families facing incarceration and help individuals preserve relationships with their children by providing case assistance and training to practitioners and the bench; by establishing best practices in support of providing holistic representation; and by implementing legislative strategies to reduce traumatic effects of family separation that parental incarceration inflicts upon children in Washington State. WDA’s technical assistance attorneys provide support and resources to public defenders throughout Washington. We do this through case consultations, practice advisories and sample motions. Case consultations involve answering specific questions about specific cases or brainstorming and strategizing with defenders addressing specific legal issues or problems. Practice advisories summarize criminal law in specific areas for busy public defenders. We also plan and present at CLEs for public defenders and write amicus briefs in cases that will have a broad impact in Washington. Working with WDA’s technical assistance attorneys will give you exposure to criminal law and issues facing Washington’s public defenders. 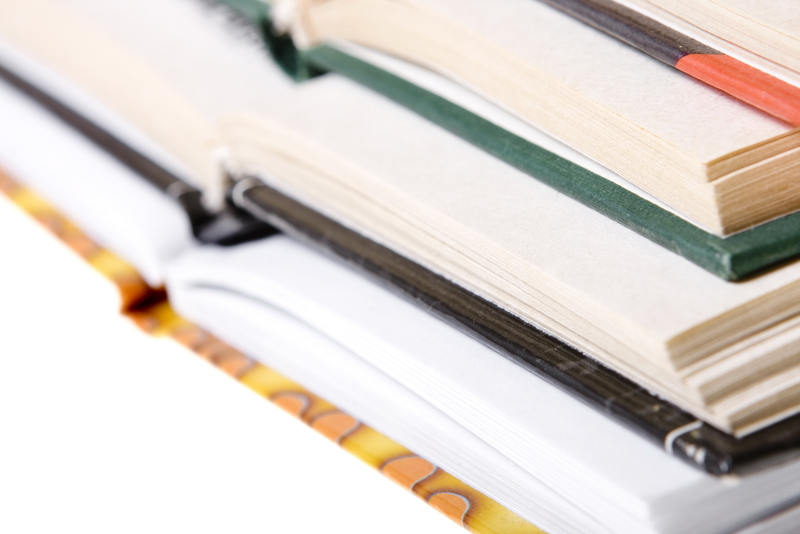 You will deepen your understanding of case law, statutes and legal issues. To Apply: Send your resume and cover letter to Magda Baker at magda@defensenet.org . Vermont Legal is opening the search for a full-time Disability Law Attorney in our Montpelier office. Responsibilities include individual and systems advocacy in a variety of forums on behalf of persons with disabilities. The Staff Attorney will be part of the Center’s litigation team and participate in impact litigation on reproductive rights and justice issues in federal and state courts. Find out more about this position and apply here. Fundraisers and webinars and fairs! The reception will highlight numerous SABAW community programs including the nationally-recognized Free Community Legal Clinic, SABAW’s Scholarship Program for students and recent law graduates, and the Minority Legal Fellowship for solo/small firms and non-profit organizations. SABAW will also be recognizing selected members of its community for their achievements and contribution to the legal profession in Washington State. 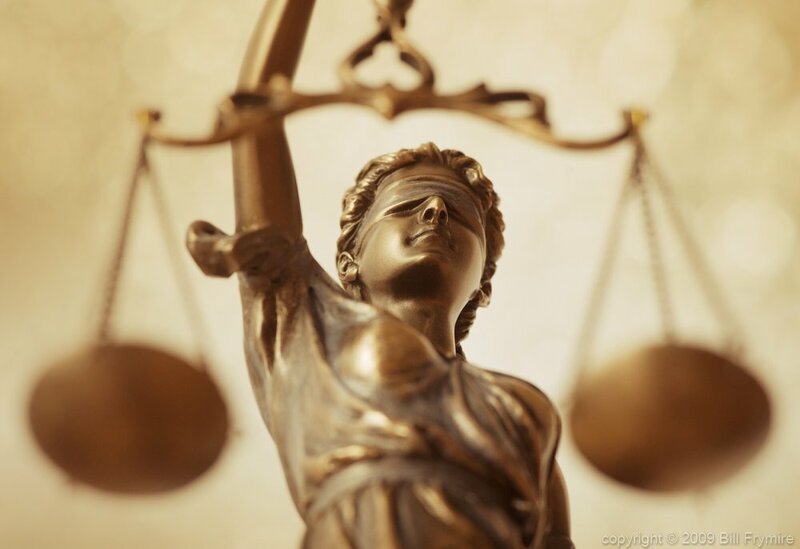 Time: Noon – 1:35 p.m.
What happens when the law doesn’t equal justice? What can—or should—legal professionals do? This 90-minute webcast will begin with a look back at when and how legal professionals have responded to moments of social and cultural crisis. The faculty will then discuss effective strategies, and related ethics issues, for addressing legal injustices in a contemporary setting. WSBA Webinar: Are You Differentiating Your Practice Through Unbundling of Legal Services? Unbundled legal services-or limited scope representation-is allowed in Washington. It can be a great mechanism to bridge the access to justice gap and to attract clients. Yet many attorneys are not offering this type of representation to their clients. Why ? 2017 Washington Women Lawyers Annual Event: I AM IN! Included. Invested. Involved. Where: WWL’s Annual Event will be held on, at the Montvale Event Center in Spokane, Washington (1017 W 1st Ave, Spokane, WA 99201). A CLE will be offered during the afternoon of October 14th. Washington Women Lawyers and Legal Voice present the “Third Annual Women’s Law Update.” This two-hour CLE will focus on recent legislation and litigation, as well as ongoing advocacy, that Legal Voice is engaged in to advance women’s and LGBTQ rights in Washington State. Presenters include Legal & Legislative Counsel for Legal Voice, Janet Chung and Lobbyist, Nancy Sapiro. All attendees are also invited to the Welcome Reception at the Montvale Hotel on Friday, October 13, 2017 from 6-8pm to enjoy complimentary wine, small bites and networking. Other optional weekend activities and events will be announced in the coming weeks! For further information and register here. For further information and to register on-line here. UW Law students interested in volunteering for Law School Pro Bono Programs or dozens of community legal aid programs in the community. Students, please join us for Pro Bono and Externship Fair! There will be over 20 organizations there for you to meet and have a table talk with. Join WWL for an invigorating and eye-opening training on combating implicit bias when faced with microaggression. WWL welcomes Dr. Caprice Hollins, co-founder of Cultures Connecting, to speak and facilitate. Pending 3.5 WA Ethics CLE. Light lunch and refreshments will be provided.